A North Shore rabbi has been ordered to pay $13 million in his ongoing legal battle over an alleged real estate Ponzi scheme that bilked investors out of more than $35 million. Zvi Feiner, rabbi of an Orthodox Jewish Congregation in Skokie and head of the Feiner Investment Corporation, stands accused of using his status in the Jewish community to entice investment into nursing homes, which he would acquire and ultimately sell without paying back investors. His alleged victims include a 90-year-old Holocaust survivor, a group of Jewish day school teachers that lost their life savings in the scheme, and a fellow Orthodox Jewish rabbi and businessman. Rabbi Sidney Glenner invested more than $25 million in six loans to Feiner’s real estate companies between 2013 and 2015. The money was to be used to invest in nursing and retirement homes, with Feiner offering up as collateral his existing real estate holdings, according to court records. At the same time Glenner made the loans, Feiner’s businesses began to falter. By 2014, a lien was placed on all of Feiner’s assets by a different investor, complicating Glenner’s investments and his efforts to be repaid. When Glenner’s loan payments came due, Feiner said he could not pay due to “financial stress,” court documents show. Instead, he offered up various properties. But he already had sold some of the properties, and the value of the collateral is disputed by the two parties, according to court documents. For example, Glenner in 2013 made a $3.8 million loan to Feiner for a nursing home investment in Downstate Decatur. The Decatur venture is also the subject of other lawsuits against Feiner, in which investors claimed the rabbi would make regular disbursements to investors before abruptly stopping. Feiner told investors the nursing home’s operator was not paying rent and so he was forced to turn the property over to a lender. Local news reports, however, allege Feiner stopped paying the bills for the facility, causing its operator to close its doors. While the nursing home was open, Feiner borrowed from the facility and never paid it back, according to a previous lawsuit. Eventually, the building that housed the nursing home was turned over to Glenner. The property was valued at $500,000, but Glenner had to pay $450,000 in unpaid real estate and payroll taxes, court records claim, leaving an the outstanding loan payment at $3.75 million. In another case, Glenner loaned Feiner $7 million, and Feiner offered up four properties as collateral. When Feiner didn’t make payments on the loan, Glenner sought to take over the properties used as collateral — except Feiner had already sold two of them, according to court records. In 2017, Glenner sought arbitration against Feiner in the Jewish Ecclesiastical Court of the Chicago Rabbinical Council. The court ordered Feiner to pay $13.2 million in the case. Now, lawyers for Glenner are asking the Cook County Circuit Court to confirm the Rabbinical Court’s ruling. Feiner could not immediately be reached for comment. This is at least the fourth lawsuit filed against Feiner involving his nursing home investment enterprise. In November, the Cohen family of Chicago sued Feiner in federal court, saying he took more than $2 million in investments and never repaid them. One of those investments involves the Decatur nursing home. The family also invested in a South Holland retirement home that Feiner eventually sold for a profit of $3.6 million, which he did not share with investors, the suit alleges. Earlier this year, a group of investors sued Feiner, saying they invested $15.5 million in his nursing home companies and were never repaid. In September 2017, a federal suit was filed against Feiner, with investors saying the rabbi’s failure to pay them for joint ventures he sold constituted a violation of the RICO Act. Private investments in nursing homes – at least in Illinois are all material misrepresentations of fact – at least in my experience. 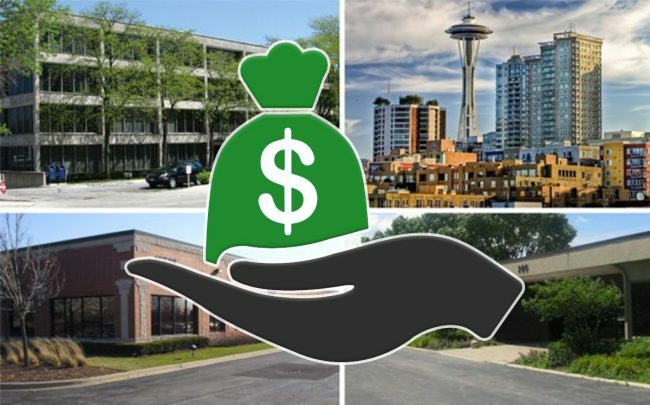 A nursing home business is financed just like any other business, except, after all the essential financing has been committed for, the developers have a gimmick. They bring in a group of outsiders who are usually called LIMITED PARTNERS. These individuals are not partners (or limited partners) in the usual business sense. (NB. the operation has more corporations associated with it, then Enron. The jungle of corporations is set up to protect the real investors. The final layer of investors are the limited partners. The investment these people make is the most visible and the most vulnerable. These are the lambs being brought to the hanging if there is ever a human sacrifice to be made. If you are approached to become an investor (limited partner) your attorney will find interesting partnership documents that say almost exactly what you would expect them to say. As a limited partner YOU HAVE NO SAY IN THE BUSINESS and your remuneration is based upon the net earnings of the Nursing home PARTNERSHIP. The nursing home is managed by GENERAL PARTNERS who are paid quite handsomely for their services to the partnership and who are supposed to act for the partnership. The general partners hire a MANAGER/ADMINISTRATOR who under law is supposed to be licensed. The administrator is responsible for the proper operation of the facility. (IN FACT, the administrator has been a puppet paid to take the heat. The General Partner who has set up the deal in reality makes all the decision including administrative decisions and is paid handsomely for his management. There is a problem with the system however – the Partnership law prevents a general partner for charging the partnership for his services. (I assume that since I raised this issue a correction has been put into place). The nursing home earns fantastic profits – A generous cost of caring for a patient is about $4000.00 per month – this includes room, board, nursing care, general physician care etc. The charges billed to the government, insurance company, and/or family are upwards of $10,000 to $16000.00. Collateral profits on drugs, and kickbacks are all under the table hidden in supplemental corporation (such as Omnicare) or just paid in cash. They also can be paid in other ways, to wit: An attorney who was very kind to the cabal was given the opportunity to open an estate in Northern Florida as relative of the deceased and claim a several million dollar inheritance. Of course, she had to include some of her relatives as heirs to avert suspicion. (This fraud was detected by the Florida Attorney General, however, the attorney as a settlement offered to forfeit 1/2 of the estate to State of Florida and she still pocketed about a million dollars). (Other payments include appoints by corrupt judges – guardianships are favorite appointments ***). You do not have to cry over the fate of the investors. They are told that on the average they will get a return of x% on their investment and in many cases the GENERAL PARTNER will even in confidence promise (orally) that if the investor does not receive not only every dollar invested back, and the return of X% on the investment he will – out of his own pocket – pay the money. In TRUTH I have not heard of a member of the Chicago cabal not keeping this promise to the letter). In essence, the limited partnership is a device by which the general partner is able to recover before the transaction even begins his capital investment and still obtain all the tax benefits etc. There are very few unhappy limited partners. (The limited partners sometimes are given their investment in lieu of the cabal having to pay professional fees etc. This way the cabal members can obtain their cake and eat it – the only loser if the Department of Treasury. Since the retirement of ****, not only has the Treasury suffered a Lois Lerner scandal, but I would not be surprised to have learned that some wives and children (or other relatives) have had the opportunity to invest in some of the limited partnerships or collateral operations. The Philip Esformes trial should disclose some of these transactions. This is the reason that I am concerned that a “fix” might be in the works. Philip should be aware of the dirty little secrets and all the players. A billion dollars in Medicare money was not stolen by conventional means and the cast of characters was not limited to a few miscreants. The General Partnerships associated with the cabal also did not share with the limited partners the booty from the human trafficking in the elderly and in particular the expropriation of the life savings of people like Alice Gore, Mary Sykes, *****. Nor did the general partners share the favors that they received from the POLTICIAL ELITE etc. This fraud, whether misrepresenting to investors, the Medicare people, the insurance companies, the government etc not only goes on on a daily basis but permeates every aspect of our society. – The guardianship aspect is so profitable that it is hard to find a non-corrupt Judicial system in any of our fifty states. Grandma is pumped full of opioids and the United States of America not only pays the traffickers the retail cost of the opioid, but the cost of harboring the human trafficking in the elderly so as to obtain maximum profit. The Esformes trial was scheduled for January 2019 – it is alleged that Esformes stole a billion dollars in Medicare money. Do you see any media coverage?